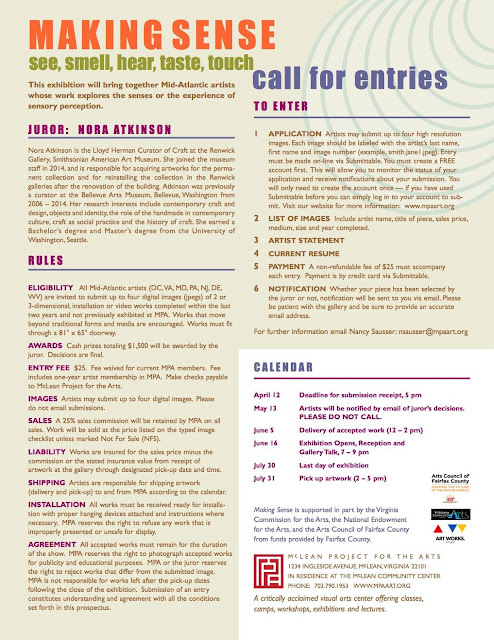 May 13 Artists will be notified by email of juror's decisions. Underwritten by TTR | Sotheby's International Realty, The Athenaeum Invitational celebrates the arts of Virginia, Maryland, and the District of Columbia in the Athenaeum Gallery in Alexandria, VA. 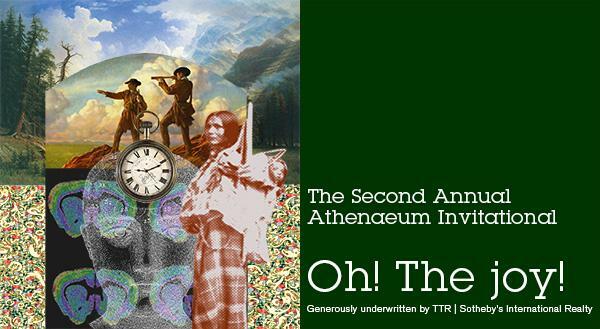 It is a theme-based event featuring the works of both specially-invited artists who have exhibited in the Athenaeum Gallery in the past, as well as works selected through a call for submissions open to anyone living or working in Virginia, the District of Columbia, West Virginia, or Maryland. A $1500 prize for the best work will be awarded to an invited artist, and a $1000 prize will be awarded to an artist from the open call. The theme asks artists to reflect on a moment of pure joy. It is inspired by the Lewis and Clark's expedition across the unchartered North American continent to reach the Pacific Ocean. After an arduous, two-year trek, William Lewis crested a hill, saw the vast body of water and cried, "The Ocean in view. Oh! The joy!" In fact, at the moment those words were uttered by Lewis, the expedition was actually facing an estuary of the Columbia River, not the open ocean. This presents another aspect of the theme for artists to consider, whether a moment of joy is 'valid' when it is later learned that the reason or impetus for the emotion was wrong or undeserved. 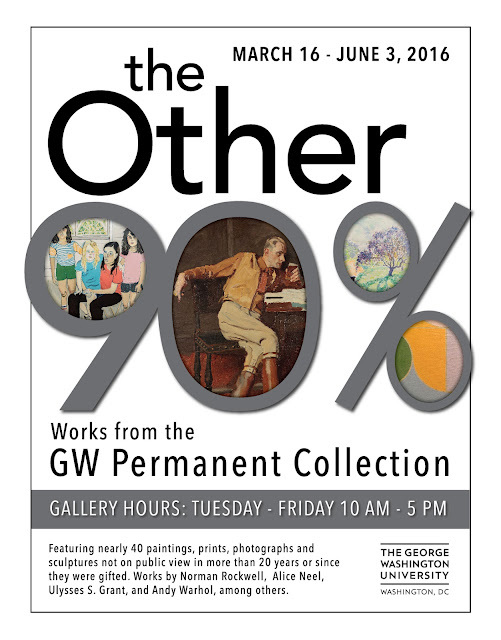 The Other 90%: Works from the GW Permanent Collection"
Gallery Hours: Tuesday – Friday, 10:00 a.m. – 5:00 p.m. While serving in the Navy Reserve (1962-64), Rockne Krebs learned celestial navigation, inspiring his interest in light, leading to his first laser light work “Sculpture Minus Object”, 1968. By the early 1970s Krebs was a rising star. Blasting geometric arrangements of laser beams across vast spaces drew curators as well as scientists to Krebs’ studio. There had never been anything like his work. During the course of a four-decade career, Krebs created over forty public commissions, some temporary, some intended to be permanent. Due to changing civic administrations and insensitive real estate development, only four public light sculptures exist today. Conversations about the re-construction of some of these pieces have begun to take place. Presently it is Rockne Krebs’ works on paper that provide the greatest insight into this revolutionary artist’s career. In 1972, Rockne Krebs received a Guggenheim Foundation grant. After a succession of experimental light sculptures the artist wished to devote time to drawing. Krebs realized that his numerous ideas for pieces exceeded his immediate ability to fabricate them; the grant afforded him the time to create graphic works describing the designs for future sculptures. At the same time, Krebs sought to create drawings expressing the atmospheric and ephemeral qualities of his light works. Pushing beyond the traditional means of rendering, Krebs mastered a process for controlling and capturing smoke as a means of drawing. From 1973-1975, he produced numerous “smoke drawings.” As evocative as his light sculptures, they added an emotive dimension and personal scale to his oeuvre. ROCKNE KREBS: The Smoke Drawings is the gallery’s first Krebs show. It is the beginning of renewed attention to an artist who was, nearly 50 years ago, at the forefront of art and technology. Accompanying the Krebs Smoke Drawings will be a selection of works on paper by Leon Berkowitz, Gene Davis, Thomas Downing, Sam Gilliam, Alma Thomas and Anne Truitt. Krebs worked with and was influenced by artists of the Washington Color School, sharing their affinity for experimentation with color and line. This project is commissioned by the Executive Office of the Mayor (EOM) in partnership with the DC Commission on the Arts and Humanities (DCCAH) and the Marion Barry Commission. Pursuant of a commemorative statue, the partnering entities request for Regional Artists or Artist Teams to develop a permanent public art installation in the form of a life-sized bronze statue in the likeness of the Honorable Marion S. Barry, to be sited at the John A. Wilson Building in March 2017. Alternatively, Artists and/or Artist Teams are encouraged to recommend an alternative interior or exterior site that is owned and operated by the District of Columbia Government for the permanent display of the bronze statue. Therefore, potential sites include, but are not limited to, the John A. Wilson Building, The Reeves Municipal Center, One Judiciary Square, etc. In developing a permanent public art installation in the form of a life-sized bronze statue, the artwork must be of sound and safe construction (not fabricated or finished with hazardous materials), be relatively maintenance-free, be appropriate for an active pedestrian/public environment frequented by community members of all ages, and must take into consideration the scale of the statue as it relates to its surroundings. The artwork should enhance the area/site and create a unified setting where District residents and visitors can experience and enjoy access to the statue. Please Note: Although bronze has been identified by the Barry Project Commission as the primary medium, artists can incorporate elements of diverse materials into their sculptural compositions. The artists' chosen combination of materials must be cohesive, and take into consideration the environmental fluctuations that occur in both interior and exterior spaces. The longevity of the statue, with consideration given to the subsequent maintenance of the artwork, is of the utmost importance. For full details on the application process, please click here. NEW Application Deadline is Tuesday, March 29, 2016 at 11:59 PM EST. 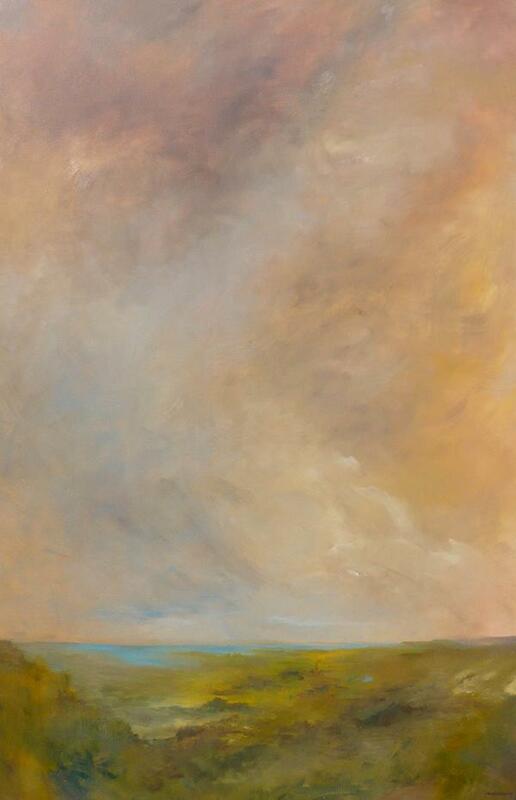 Across the Field, Georgia Nassikas, beeswax and pigment on panel, 36 x 80". In her wax and oil paintings, Georgia Nassikas explores the intersection of the abstract and the representational. She focuses on the elemental lines, shapes, and colors that define the core of the natural world. 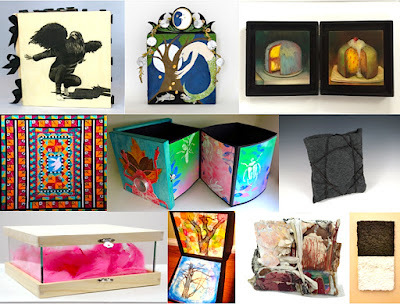 On Sunday, April 24, at 3:00 the artist will give a gallery talk where she will discuss, among other things, her organic beekeeping and the process of using the wax from her hives in her encaustic works. Glow, Georgia Nassikas, oil on canvas,72x48". Open Thursday, Friday and Sunday from 12 to 4 pm, and Saturdays from 1 to 4 pm. Admission is free. 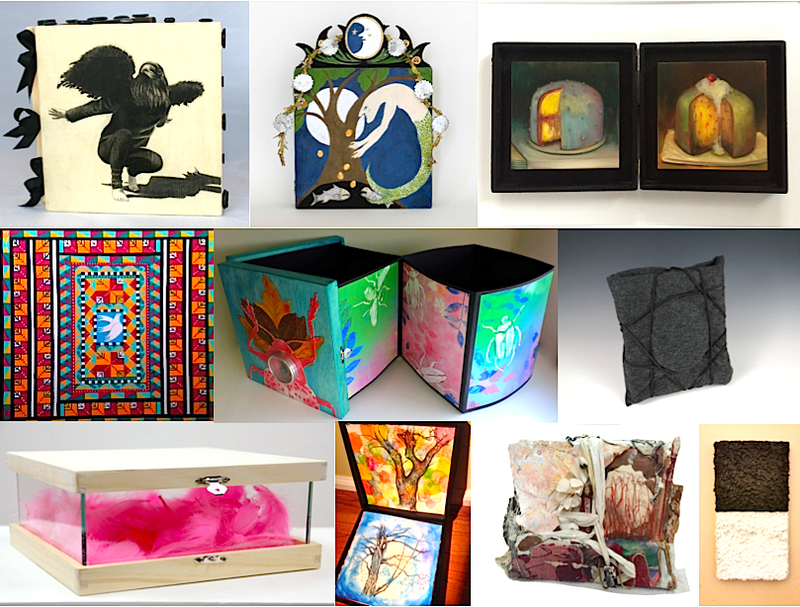 The 4th annual Alchemical Vessels exhibition and Benefit is underway, with 125 of the District areas greatest artists creating original artwork, transforming a simple cigar box into a vessel filled with alchemy and healing! Join us for refreshments, wine and a first look at the wonderful creations for this year's Alchemical Vessel Exhibition.